Note: This post was not compensated in any way but by providing me with a review copy! I just wanted to read it and let ya'll know about it! Check out all the other blog tour stops! Just before I tucked into this book, all about eating tasty plant food, I felt the obligation to sit down and write out a few pertinent questions. You know, before I could fall off track just looking at all of Lani’s delicious-sounding recipes. · How does this book explain its ideas? · How well does the book explain how to live what it preaches? · How good do the recipes look? · How likely would I be to change my own habits based on the book? How does this book explain its ideas? 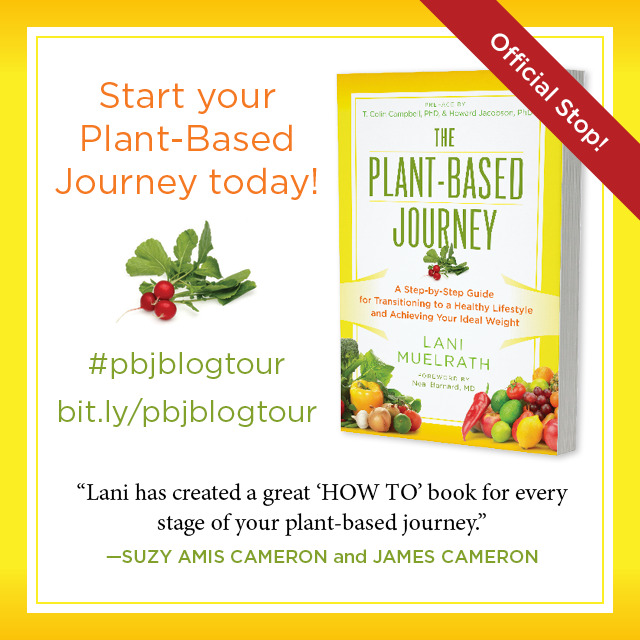 Going into the book, I didn’t exactly know what a “plant-based journey” would look like, although I figured it would be pretty health-centric. I didn’t have to get too far in though, to see that “plant-based” clearly means only eating plant-sourced foods - veganism - rather than simply a diet based on plant-sourced foods, at least in this case. In the first chapter on the “whys” of going totally plant-based, a number of reasons to completely avoid animal products come up. Ms. Mulrath is all about citing studies and statistics, and has one or more at the ready for each charge against them: from growth hormones, to carcinogens, to the environment, to ethics. She goes on even further to talk about nutrients and what is supposed to work best for our bodies. I, for one, am all about knowing what I put into my body. I also greatly appreciate it when someone else takes the time to study the science and break it down for me! Still… I can’t help it! I have always been one to do extensive research on my own as well. Based on my past blog posts, especially during the months leading up to my bikini competition last year, you might know that I’ve already read a lot about these subjects. So, in short, while I am 100% in agreement with every mention of environmentalism and animal ethics that she states, and I would never argue that getting the majority of one’s food from plants is the way to go, I can’t quite get behind the sentiment that all eggs, dairy, and meats are just… bad for you. Many of the scientific studies that I have read (many times even from the same journals cited in the book) come to different conclusions entirely. For example, in their most natural state, I believe many animal foods can be very good for you, in moderation. (I mean, hey – anything is bad for you in excess.) Consider the chicken egg, if the chicken was fed a great natural diet and given plenty of scratching space and a pat on the head every day. No, it’s not where we normally get our eggs, but if we did, would that egg still be so bad? I want to say no. Besides, can you fully argue with something that comes with a necessary vitamin you won’t find in any plant (b-12)? I also feel that proteins and fats are not given their dues, while complex carbohydrates are virtually canonized… but I might go off into a spiel about that if I don’t watch it. Despite some of my lack of harmonizing with some of the “whys” in the explanation, Ms. Mulrath does say that there are different reasons for wanting to go fully plant-based, and that she herself does not have a perfect diet (although she does say she never strays into animal-food territory). This is enough to satisfy me, as I still agree with the general concept of having a plant-based diet. For everyone involved – those who read through all that, for the people who asked me to do a review and got all this, or for those really not looking for that much reading material and just skipped it – I apologize for my wordiness. But also, being analytical is just what I do? So, I guess, #sorrynotsorry. Now, fortunately, these next answers were much easier for me. How well does the book explain how to live what it preaches? The majority of the book goes into depth on how to transition gradually into this lifestyle, includes personal testimonies from a variety of people, and gives helpful examples - from menus, to recipes, even to hour-by-hour physical activity plans. I think if you are interested in beginning a very plant-centric diet and really need a helping hand, this book does that well. How good do the recipes look? Let’s just say, there should be no doubt in your mind that I will be trying out that Black Bean Polenta Pie (p. 192), Golden Turmeric Rice (p. 195), Sweet Bean Cream (p. 203), and Rice Cooker Baked Apples (p. 208). Oh, and by the way, those page numbers are really for me, so I can refer back to this page when I make them all later this week! YUM! ps. she has a video you can check out here! How likely would I be to change my own habits based on the book? 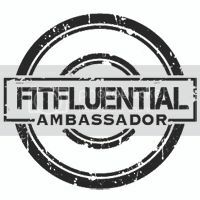 Complete honesty here: I diverted from my previously nearly vegan diet when I began preparing for my bikini competition last year in July. It’s something that I admit I had always planned to get back to, but had developed new eating habits by the end of the competition. My reasons for being so nearly vegan in the first place were because I care about animal ethics, the environment, and because I know plant food is the most nutritious food you can get per calorie. I still feel the same way, and this book has greatly reinforced those reasons, despite some of my clashings with the overall views in the book. No, I don’t plan on ever telling my grandma that the stew she has always made is now unacceptable to me, and a dollop of whipped cream on my apple pie won’t be the death of me, but a plant-based diet is sounding better and better all the time. A quick thanks to the editors at BenBella Publishing for thinking of me for this book review, and for Lani Muelrath for her quest to help others live a healthier life!